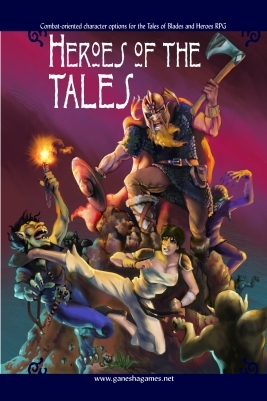 Heroes of the Tales is a supplement for Tales of Blades and Heroes. This book offers new advanced special rules for creating characters in the Tales of Blades and Heroes fantasy roleplaying game. These options focus on combat and action-oriented abilities, and can be used by players and GMs alike. Mix a little magic into your combats with Dragonblood, Faithful Weapon, and Arrow Enchanting. an updated NPC creation summary.